Winter camping in Montana can be the experience of a lifetime . If you’re someone who loves adventure and is not afraid of snow we have so many ideas for you. It’s the perfect time to see Montana in all its winter white. Come with a group or bring your family or make it a memorable trip for just the two of you. There is just nothing else like strapping on a pair of snowshoes and going where you never dreamed you could go before. Pick a crisp, sunny day, dress in layers, pack some water and a few snacks, and you’re off on an adventure in the snow. With snowshoes you can travel cross country and explore areas while blazing your own trail. 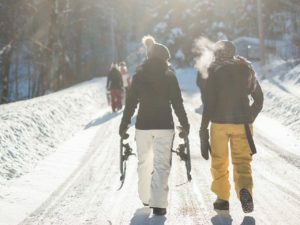 Montana offers many opportunities for spending time together and taking a nice long walk in snowshoes. Winter biking means fat tire time. There are many groups that visit Montana for some fat biking fun and plenty of couples who enjoy afternoons riding on groomed trails in the snow. Most communities take very good care of their trails and you’ll find delicious food and tasty brews at the end of your ride. You have to experience the beauty of a winter sleigh ride. You’ll enjoy the view all tucked in and cozy with a warm blanket on your lap. You can visit the stables to meet the horses before your trip or see where they live once you arrive back at your departure point. There are several companies that provide sleigh rides in Montana. Bring someone special for a romantic ride in the snow. Cabinet space is at a premium in your rig so choosing tools that are compact, lightweight, and that work double duty is a big benefit. If you swap some of your staples into smaller containers and pack stackable bowls and dinnerware, you’ll have more room to move around as you cook. 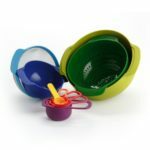 We found a highly rated and very compact set of mixing bowls, colander, mesh strainer, and measuring cups & spoons. They are colorful and priced reasonably. They are perfect for the RV and for campers as well. 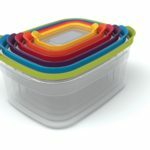 The 9-piece set is BPA free and have non-slip bases with wide carry handles. 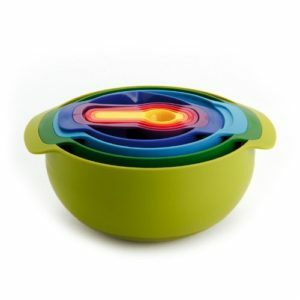 You can read more about it here: Joseph Joseph 9 Piece Compact Mixing Bowl, Food Prep and Measuring Set. You can combine your cutting board and cutting mats with this set. 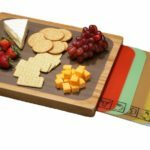 The bamboo cutting board provides a base for seven cutting mats that are washable and interchangeable. Each is marked for different food groups and color. The unit can be stored flat or up on its side to leave more space on the counter. You can see them here: Seville Classics Bamboo Cutting Board with Removable Cutting Mats. These are just a few space savers that will free you up in your RV, making more room for the treasures you collect along the way. If you haven’t visited one of our incredible hot springs you are surely missing out. There are many locations scattered across the state with ten of those within a four hour drive from us here in Harden. If you don’t want to make a day trip to see them you will probably pass at least one as you come our way or are leaving. We’ll list some of the closest hot springs and a link to learn about others across Montana. Just two hours west of us is this small restaurant and lodge. They have a partially enclosed soaking pool that connects to an open air swimming pool with inside temps of 104 degrees inside to 96 degrees outside. Three hours northwest, in Lewistown, you will find this huge natural warm spring at almost 100 yards in diameter. It’s a warm spring, not a hot spring but that makes it popular in the heat of the summer and it is a favorite place for families to visit. 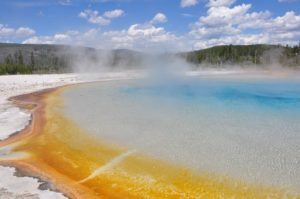 Three hours to the southwest of us is this Yellowstone National Park’s “most popular soaking area”. 140 degree water dumps into an icy cold river which can provide you with the unique experience of feeling hot water on your back and cold water on your feet. It takes a little shifting but you’ll find just the right spot in this interesting hot spring. Three hours to the west you will find small, rock lined pools. They combine cool river water with thermal water so the temperature can vary. It is a primitive area and can sometimes be flooded due to river levels. They also will hold just one to four soakers. If you love hot springs you will find plenty of new ones to explore in Montana. If you are new to them you really should give them a try. It’s quite and experience and one you will remember fondly for years to come. Being a good camping neighbor is really not that difficult to do. In fact, it’s kind of like having any other kind of neighbor. You’re just in somewhat closer quarters, and you have to be able to get along with those around you. When you have neighbors, you want to make sure that you’re not getting too loud. It can be fun to laugh and carry on, but you need to keep in mind that others are close by and sound really carries at night. If you want to play music or do anything that makes a lot of noise, ask those in the area if it’s okay. Sometimes it can be fun for everyone to gather and meet each other. Other times, people are out there to get away from noise and just to relax. It depends on who you’re around what kind of activities make sense to do. Are you going to be able to share anything that you have with you? Sometimes, people don’t come as prepared as they thought they were. You may end up being asked for this or that so don’t be afraid to bring a few extras to help others with. If you’ve brought enough to feed others, then make sure you ask around before you start cooking to see if anyone is interested. People don’t like to be surprised with something or they may be on a diet, you never know. Either way, you generally can get along with everyone around the area if you are polite and helpful. A good camping neighbor is one that is able to be quiet, nice, and clean. If someone is having a problem in the area and you can help, then try working with them. All in all it’s fairly easy to be a nice neighbor to be around if you just try! Camping is made for getting together in groups. Whether it’s a group of family members or RV group, you gain so much enjoyment out of sharing the experience with others. Planning and organizing is key for group camping and we like to see you get the most out of your time with us so we offer a few tips. Name one person to be the main contact. Pick the most organized person of the group and let them handle the checklists. Others can volunteer to bring necessary items, to clean up, or to watch the kids but having one person to keep track of the details is very helpful. Have a Sign Up Sheet. There are numerous opportunities for everyone to get involved. Some people make a private Facebook group in order to share information about the camping trip. You can upload a sign up sheet there and everyone can have the chance to choose what they want to do. Assign Someone as Group Photographer. All too often, people go away and realize they were having so much fun they forgot to take photos. Of course, everyone can take photos but having one person assigned to the task will assure you get some great shots that can be shared with everyone. Share the Work. 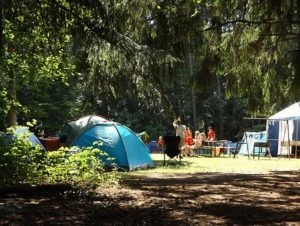 One of the benefits of camping with a group is that the work can be shared and everyone can have time for play. Create a chore chart and have people sign up to cook, clean up, lead the games, or watch the children. We want your group to have the best time ever. If you are good planners, you certainly will. 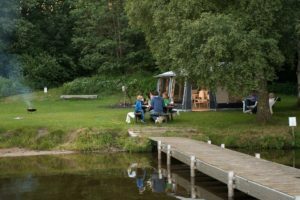 Camping is supposed to provide you some time away in a new environment and bring new experiences. That doesn’t mean you have to leave behind your creature comforts. In fact, those favorite pieces from home will often add that extra level in making your trip one to remember so we hope you’ll consider packing as many of them with you as you can. There are so many to choose from it can be tough to decide. It’s probably just for sitting around the campfire and maybe for having your breakfast in the morning. We find there is just something about a really comfortable chair that makes the whole experience even better. Get one that is well balanced and stable. It’s nice to have a drink holder and there are even some that will rock or recline. Try to get the most out of those moments instead of spending any time adjusting yourself in an uncomfortable, crooked, crumply, sagging chair. You are going to sleep well after a day in the open air and it will be even nicer if your sleeping bag isn’t stiff and crinkly. Bring bedding that is soft and warm. Something that smells nice and feels good to slip into at the end of the day. The next morning you can smile and stretch feeling happy to start a new day from your very comfy bed. It helps if it is of a material that doesn’t attract lint, dirt and dog hair. And machine washable is a must. You don’t have to suffer under a scratchy army blanket just because you are camping. Allow yourself this little indulgence and it will really make the trip a pleasant one. This is no time to buy a new pair and break them in while you are here. The increased walking you will do while camping can result in blisters and those can hobble anyone’s day. They can ruin a vacation so go with the tried and true. We won’t be judging what you wear on your feet so bring your old faithfuls to run, jump, race, and play with the kids. These simple things should add some happy moments to your stay and isn’t that what it’s all about? Camping trips are one of the best trips to take with your family. These trips will be fondly remembered for years to come. whether you camp in a tent or in an RV, the closeness of camping can help bring your family together and create lasting memories. One of the highlights of any camping trip is the time sitting around a campfire. A campfire is much more than just a warm place to sit. It becomes the heart of the camp where people gather together and interact with one another. Families often enjoy roasting marshmallows, singing or telling campfire stories while gathered around a campfire. When choosing a campfire story, you need to consider the ages of the children listening to the story. Although it can be fun to tell a ghost story, it may not be appropriate around younger children. Telling these stories can often cause a child to stay up most of the night scared to go to sleep. There are several different types of campfire stories, including local legends, scary stories, funny stories and stories that have a moral story to them. Many families repeat stories that they have heard as children. These stories that are told over and over again can help create memories that will last a lifetime. If you are at a loss on campfire stories to tell on your next camping trip, surf the internet. 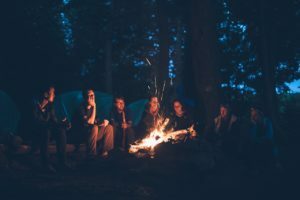 There are a great number of campfire stories that you can use to provide your family with good, old-fashioned entertainment while sitting around a campfire. Read some of these stories to help you come up with some tales that will delight old and young alike. When searching for stories, come up with a few funny tales, age-appropriate scary tales and local legends to tell while camping. A good flashlight is a mandatory component of any camping trip. Advances in light-emitting diode or LED technology and battery efficiency have made the flashlights much smaller, lighter, and brighter than the models that were on the market a few years back. Choosing the best flashlight for your camping adventure is not an easy task with a host of products on the market. There are three important factors to consider when choosing the right flashlight. They are the light output, battery type, and weight of the product. Flashlights could range from $20 to $200 on the market. Most of these lights are the same in their sizes and weights. Brightness is the main difference in these products. You should choose a bright flashlight. A quality light that uses advanced bulb, battery and circuits is more expensive than a cheap light on the market. If the product uses a rechargeable battery, it may cost even more. The output of the light is measured in lumens. It measures the intensity of the light that comes out of the flashlight. The outputs could range from 20 lumens to 3500 lumens. You need a powerful light. The beam distance is also important to consider when choosing the right flashlight for your camping trip. It is measured in meters. Run time, impact resistance, and water resistance are the other important features to consider when buying the best type of flashlight for your trip. In conclusion, a good flashlight is mandatory for your camping trip. With a host of products on the market, how will you find the right one? 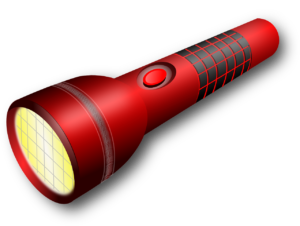 The above read offers information on the best flashlights for camping. There are so many important things to look for when choosing the right type of footwear for camping. You should look for a comfortable brand, type, and fit when shopping for footwear that is durable and able to last through many camping trips. Here are three important factors to consider. Camping is not an easy task. You need footwear with the right kind of support. In fact, the more support provided by the footwear, the less you will have to worry about foot or ankle injuries during the trip. The shoes should come with thick soles to protect your feet when walking on rough terrain. They should provide firm arch support and roominess in the toe area. The shoes you plan to purchase should have good gripping surface. This will provide the much needed safety for your feet on rough terrain. This is also important when you have to travel through a variety of weather conditions during your camping trips or on your hiking expeditions. 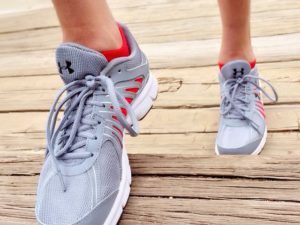 If the footwear is not moisture resistant, you may have to deal with foot fungus or other issues when the shoes get wet. This can cause complications you’d probably rather not have to deal with. That’s why you need to buy a shoe or boot that resists moisture. Also, make sure you try the shoe or boot before you buy it to ensure you’ll have a good fit and comfortable footwear for your trip. You’ll spend lots of time outdoors and your feet will need the protection. We look forward to seeing you around the campground so be sure to make your reservation. We’ll see you soon! If you’re in the market for a screened dining tent, there are a few things that you’ll want to consider before you buy. Here are a few things to consider. 1. 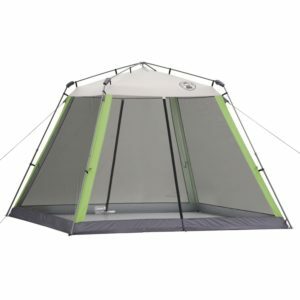 Will I be moving the tent from one place to another? Many people buy a screened dining tent for use at home. This is an ideal opportunity to purchase a larger sized dining tent that won’t be moved often. Select a large enough tent for the area that you’ll be using it in and go for as high of quality as possible. Zippered sides will be ideal for a dining tent that isn’t going to be moved often. 2. Portability is a must if you’re going to be using it on camping trips. If you’re planning to take your dining tent with you on camping trips you’re going to want to consider portability. You’ll want something that breaks down and sets up easily. Consider velcro straps to secure the sides and things that won’t break easily. Poles should completely collapse in order to pack it in the travel case. 3. Always purchase the best tent that you can afford. You’ll want to consider quality when you’re purchasing a dining tent. The higher quality that you can afford, the better. You get what you pay for. You’ll want to ensure that the seams are secure and that nothing is unraveling. Many screened dining tents also have flooring just as a regular tent. This is very helpful when you’re in an area that doesn’t have soft grass or sand. Consider a top that is opaque in lieu of a mesh top so that you won’ t have so much of the weather bearing down on you. Following these easy tips will help you to find the best possible screened dining tent for your specific needs.